Interested in making your own cider? You can - find out more. Or join us on a cider-making day. Cider has been made at Woodredding for at least 200 years. 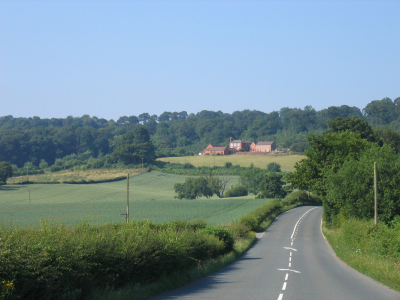 By 1790 the owners of Woodredding Farm had decided to invest in new cider-making equipment. The design of the Cider Press dates it around 1790 and the barn housing the horse-driven Cider Mill might well have been built around it and probably precedes the present farm house and brick barns which were built in 1815. The present cider orchard was planted in 1959 with the Ashton Brown Jersey, Bulmer’s Norman, Michelin, Vilberie and Lavigne varieties. More recently Yarlington Mill trees were planted and are now cropping well. 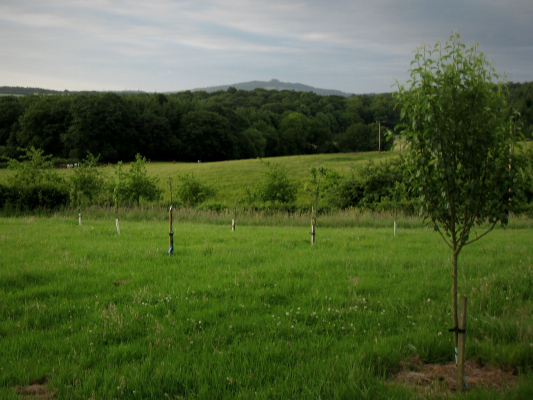 We have also planted Herefordshire Redstreak and Somerset Redstreak as replacement trees in our old orchard. Apples were collected and taken to Westons’ Cider Mill two miles away, but in 2007 after a gap of fifty years we revived the tradition of cider making on the farm. We got the 18th Century cider press back into action. The only expenditure was on a new metal plate to attach the screw to the cross board. Apart from that it was a case of levelling the stone pressing base and oiling the screw and the press was working again for the first time since the 1950’s. Our first efforts proved popular with family and friends and encouraged us to increase production. We plan our pressings to give us a range of ciders and we rely on the wild yeast that is present in our orchard and press to ferment the juice. We bottled into four types; oak dry (which was matured in an oak barrel), a dry blend, a sweet blend and a single variety medium sweet. We also did a trial run of perry. In November 2009 we planted the first eight trees of the Woodredding Heritage Orchard, in celebration of the birth of four grandsons during that year, choosing local perry pear varieties that would produce good quality perry. The orchard can see May Hill, which is supposed to be a good omen! Some of the cider apple trees in our orchard are coming to the end of their productive life and we have planted two more varieties. Both Kingston Black and Dabinett will enhance our current varieties and give more scope for single variety production and blending. Interested in making your own cider? You can - find out more.